There is usually a lot of potential on rookie ball teams — especially in the Arizona Rookie League. The AZL is the second-lowest level of professional baseball (affiliated with MLB, that is), and this year’s Dodger squad has a lot of talent and some recognizable names. Castillo was signed out of the same class that produced Sandoval (below), Ravel Hernandez (DSL Dodgers infielder) and Miguel Urena (DSL Dodgers ace). The 18-year-old native of the Dominican Republic, despite hitting .190 in his debut, had a 10.4 percent walk rate. That really stands out, especially with really young players. He hit leadoff for the AZL Dodgers in their first game on Friday and, on cue, walked twice. Holmes has been in the organization for just about two weeks, and I feel like I’ve written a ton about him. You know the story: 2014 first-rounder, mid-90s fastball, low-80s power curveball and developing changeup. If he handles the AZL well enough, he could skip Ogden all together next year and go straight to Great Lakes. This is a guy I missed on in my Top 50 prospects. He had a good debut in the Dominican Summer League, but he did so as an 18-year-old. It was four-tenths younger than the average age for the league, but his numbers (.327/.398/.500) still needed to be taken with a grain of salt. If he hits well in this league, maybe he can earn a late-season promotion to Ogden or Great Lakes. Next year will be the year we figure out if he’s really a prospect. Medina is a big dude who profiles as a corner outfielder (right field, hopefully). His carrying tool is his power. He hit 10 home runs as a 16-year-old in his pro debut, good enough for second in the league. The raw power is there, but there is also a lot of swing-and-miss (94 strikeouts in 218 plate appearances). Hitting coach Henry Cruz has a lot of work to do with this kid. Depending on the now-17-year-old’s performance, he could spend the next two years at this level and not be impacted negatively by it. Pacheco is a left-hander in the mold of former Dodger prospect Miguel Sulbaran, minus the advanced changeup. 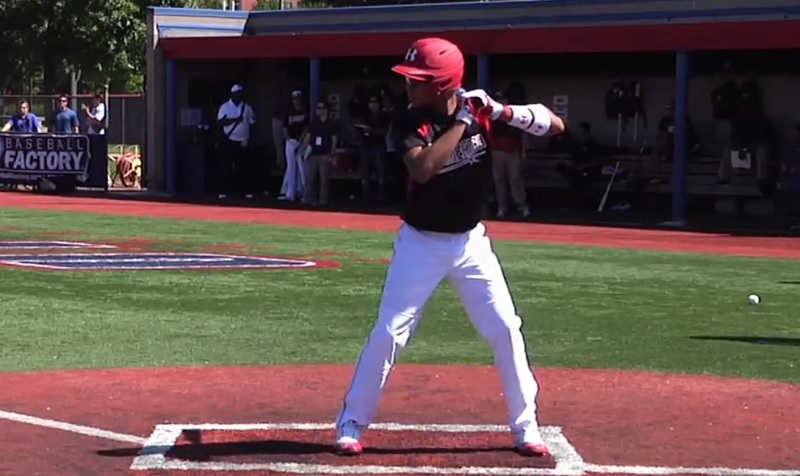 The 17-year-old Pacheco has an average fastball with a chance to become an above-average pitch. He can also sink it. His breaking ball is slurvy, which will need to be cleaned up, and his changeup is a work in progress. Still, he should log some quality innings this year and, like Medina, could repeat the level next year — if needed — because he’s so young. Sandoval was signed in January 2013 to a $150,000 signing bonus. Anytime there’s a 6-figure signing bonus, it’s bound to catch some attention, and it was the first one given out by then-new International Scouting Director Bob Engle. Sandoval, 18, went 1-for-21 to begin his pro career last year, but still ended up with an adequate (I use the term loosely) .255/.299/.300 triple slash. He projects as a plus-defender in right field. The Dodgers signed Tirado to a $1 million bonus on the first day of the July 2 signing period last year. The now-shortstop is 6’2, 190 pounds and might have to move off the position because of his fringy arm. Tirado, 17, has the instincts to play up-the-middle, which is why his future might be at second base. He’ll play shortstop until he proves he can’t handle it anymore (ala Corey Seager). The Dodgers’ second-round draft pick hit third and played center field in his pro debut. Logan White threw a Joc Pederson comp on him after picking him at No. 62, which isn’t completely fair. But, Verdugo is athletic, has some untapped raw power and surprising speed — especially for a guy most teams liked as a pitcher. The Arizona native should feel right at home in the AZL. One of only eight high school players taken by the Dodgers in this year’s draft, Walker gets the expected assignment to the AZL. While he’ll likely battle Estrella for playing time, this is a good first test for him. Some project him to move to right field, but he’ll stick at third base for now. Estrella signed for $600,000 last year, so the Dodgers obviously think highly of the kid. It appears the AZL Dodgers emulate the MLB Dodgers by having a four outfielder problem. Castillo, Isabel, Medina, Sandoval and Verdugo should all be playing everyday, but that won’t happen. Castillo was the designated hitter on Friday and Isabel played first base. That’s a decent solution to the problem, but Dodger draftees Scott De Jong and Clint Freeman are also first basemen. While they aren’t as highly regarded as Isabel and Castillo, it’s going to be interesting to see what manager John Shoemaker does. There’s a mix of draftees and international signees on this team. If you live anywhere close to Camelback Ranch, it’d definitely be worth the trip — especially if Holmes were pitching on said day. The AZL Dodgers play all their home games at Camelback, and all the other facilities in Arizona are within driving distance of each other. Check it out, if you can. If not, just keep these names in mind as we go through the next couple months.